Many people mistakenly use the term ‘steam cleaning’ with another term – ‘hot water extraction’ whereas the two processes are different. We’ll help you clarify this misconception, and give you a little more insight into what they really mean. 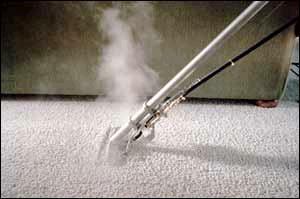 Hot water extraction is a popular method of cleaning carpets. Majority of carpet manufacturers recommends this method. The process involves heating water in a cleaning machine which is mounted onto a small truck. Professional carpet cleaners allow the water to heat up then inject it with force into the carpet, along with a cleaning solution. The water gets deep down into the carpet to loosen and remove all manner of dirt and grime. The powerful machinery extracts dirty water from the carpet and leaves them dry. Steam is a result of water being boiled and then evaporating. In fact, steam cleaning can actually set in stains. 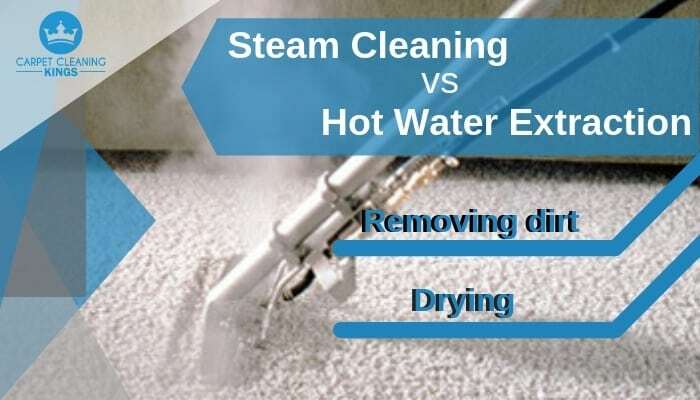 Using steam in conjunction with a detergent will not provide as a thorough rinse as hot water. But what about renting a DIY ‘steam machine’? How does this compare to a professional carpet clean? Removing dirt – The difference between using a DIY ‘steam machine’, and professional carpet cleaning is more about the vacuuming that’s carried out by our trained technicians. It’s essential in removing as much dirt as possible from your carpets before wetting them, to get the best results. Our truck mounted machinery is far more powerful than a home vacuum. It gets deep into the base of the carpet. Drying – Home rental machines simply don’t have the powerful suction of a professional hot water extraction machine. It can’t extract as much dirt or as much water as our powerful state-of-the-art machines. As a result, you’ll leave the carpets wetter and take longer to dry. If you apply too much water in the first place, your carpet can be ruined or it may even grow mould during the drying process. Carrying out ‘Hot Water Extraction’ properly by a professional will take out all of the water, and will help your carpets dry naturally faster. We encourage customers to open their windows to help dry out the carpets faster. Annual carpet cleaning using hot water extraction will help maintain the appearance of your carpets. This will leave them smelling fresh and clean. Did you know that it even extends a carpet’s life by up to two years? If your carpet is due a clean, then get in touch with Carpet Cleaning Kings. We’ve been in the business for decades and have a team of highly experienced technicians who know how to get the very best cleaning results. Call 1300 7000 75.